Twelve-year-old Sumiko feels her life has been made up of two parts: before Pearl Harbor and after it. The good part and the bad part. Raised on a flower farm in California, Sumiko is used to being the only Japanese girl in her class. Even when the other kids tease her, she always has had her flowers and family to go home to. That all changes after the horrific events of Pearl Harbor. Other Americans start to suspect that all Japanese people are spies for the emperor, even if, like Sumiko, they were born in the United States! As suspicions grow, Sumiko and her family find themselves being shipped to an internment camp in one of the hottest deserts in the United States. The vivid color of her previous life is gone forever, and now dust storms regularly choke the sky and seep into every crack of the military barrack that is her new "home." Sumiko soon discovers that the camp is on an Indian reservation and that the Japanese are as unwanted there as they'd been at home. But then she meets a young Mohave boy who might just become her first real friend...if he can ever stop being angry about the fact that the internment camp is on his tribe's land. With searing insight and clarity, Newbery Medal-winning author Cynthia Kadohata explores an important and painful topic through the eyes of a young girl who yearns to belong. 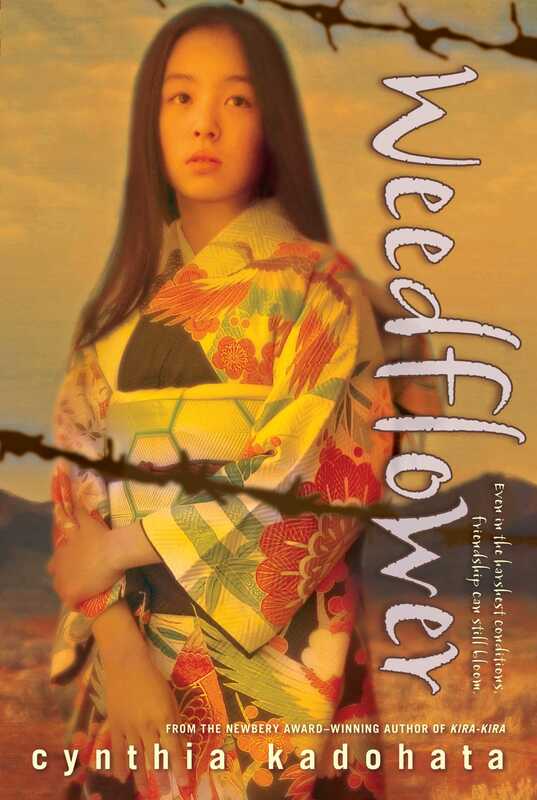 Weedflower is the story of the rewards and challenges of a friendship across the racial divide, as well as the based-on-real-life story of how the meeting of Japanese Americans and Native Americans changed the future of both. "How could such a tragedy have occurred in a democratic society that prides itself on individual rights and freedoms?" Twelve-year-old Sumiko lives on a flower farm in California, and dreams of owning a flower shop someday. She is the only Japanese-American girl in her class, and is often the victim of bigotry, but she feels tranquil when she is among the flowers. Then the Japanese bomb Pearl Harbor and the United States government send all Japanese people to internment camps. Sumiko and her family are sent to an Indian reservation in the Arizona desert where she discovers that the Indians resent them for taking over their land. Living conditions are poor and Sumiko no longer has the flowers to comfort her, but helping Mr. Moto, a lonely old man, plant a garden, and developing a friendship with Frank, a young Mohave boy, leads her on a journey of self-discovery and helps her realize the real reason that her grandfather left Japan for America long before she was born. Ask students to write a paragraph about what they think racial and ethnic profiling means. Invite them to share their paragraphs in class. Engage them in a discussion about how Americans continue to practice ethnic profiling today. Explain the title of the novel. Sumiko describes loneliness: (1) like everyone was looking at you (2) like nobody was looking at you (3) like you didn't care about anything at all (4) like you were just about to cry over every little thing. Trace Sumiko's feelings of loneliness throughout the novel. How does she learn to live with loneliness? Compare her feelings of loneliness at the beginning of the novel to her feelings about leaving camp at the end of the story. What other characters in the novel experience loneliness? Sumiko is very excited when she is invited to Marsha's birthday party. Describe her entire family's reaction when she receives the invitation. Contrast the way Sumiko envisions the party and the way it really is. Discuss the definition of humiliation. How is the scene at Marsha's party the ultimate humiliation for Sumiko? Why doesn't she tell Uncle and Jiichan that she was uninvited to the party? Why does she feel that she can tell Bull? What do you think Marsha feels when her mother sends Sumiko away? Describe Sumiko's relationship with Tak-Tak. How does she protect him throughout the novel? Ichiro tells his family that the United States government may execute all the Nikkei if the war breaks out in Japan. Why does Auntie insist that he not discuss this at the dinner table? At what point in the novel does Sumiko begin to believe Ichiro's statement? Ichiro heard that the FBI has been keeping records on Nikkei for a number of years. Why are Jiichan and Uncle of special interest to the United States government? Jiichan described his trip from Japan to Sumiko: "The thing that kept everybody going was a single word: America." (p. 92) Why did Jiichan feel that the word America was the most important thing his family owned? How did America betray him? Why does Sumiko feel more American than her cousins? How does she deal with living in two very different cultures? What part of her Japanese heritage does she reject the most? What rituals do her family practice that makes her connect to her Japanese heritage? Explain how she takes this part of her life to the camp at Poston. Explain what Jiichan meant when he told Sumiko: "The haji she felt was from her Japanese side and the anger was from her American side." (p. 99) Cite passages or scenes in the novel when Sumiko feels haji. Why should the United States government feel haji? Bull makes a speech on New Year's Day. "You suffer so you can learn." (p. 64) Discuss how Sumiko and her family suffers. What does Sumiko learn from her suffering? Describe Sumiko's friendship with Sachi Shibata. Why is Sumiko so willing to be Sachi's friend when she knows that Sachi lies? Sumiko also becomes friends with Frank, a Mohave boy, and Mr. Moto an older man who wants to plant a garden. "Friendship was really different from the way she had envisioned it all these years." (p. 163) Discuss what Sumiko expected from a friendship. What does the term "unlikely friendship" mean? How are Sumiko's relationships with Sachi, Frank and Mr. Moto "unlikely friendships"? What is the symbolism of the moth on page 115? Explain why the Native Americans resent the Japanese. 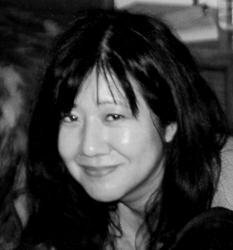 Why is Sumiko more afraid of the Native Americans than the white people? What is her attitude toward both groups of people? Why does the camp at Poston feel "final" to Sumiko? She doesn't want to leave when Auntie finds a job in a sewing factory near Chicago. Why does Uncle Kenzo tell her that she belongs with Auntie? Explain why Sumiko feels like an orphan when she leaves the camp. How does leaving the camp help her understand the real reason why Jiichan came to America? Every Friday night at dinner, Uncle asks each member of the family to share anything "special" on their minds. Role play a dinner conversation between Sumiko and her family on the day Pearl Harbor was bombed. The Quakers were the only religious group speaking up for the Japanese. Research the Quaker beliefs, and write a letter to the editor of a newspaper that a Quaker might write in defense of the Japanese/Americans. Sumiko describes the race track like the dioramas she had made in geography class. Make a diorama of the race track, the Poston Camp, or the flower farm where Sumiko lived. Kadohata uses similes to create certain images (e.g. in reference to the neglected flower fields, "It was almost like watching an animal die and not trying to help"). Find other similes in the novel. Mr. Muramoto had hosted a New Year's Day party for twenty years. This year, there was no party. Plan a New Year's Day party for Sumiko, Auntie, Tak-Tak, Ichiro, & Bull. Write a New Year's resolution for each of these characters. Sumiko and her family are Buddhists. Find out the fundamental beliefs of the Buddhist faith. Write a journal entry where Sumiko questions some of her Buddhist beliefs. When Sumiko was in third grade she wrote a paper titled "Dirt". Write the paper that Sumiko wrote. The newspaper at the camp is called the Poston Chronicle. Ask students to write an article about one event at the camp that might be featured in the Poston Chronicle. For example: Mr. Moto's garden, the Christmas celebration, etc. Read about the Poston Camp (www.javadc.org/poston.htm) and write a letter that Sumiko might write to Jiichan and Uncle about her life in the camp. Include remarks about what she will miss most about the camp when she moves with Auntie to Chicago.